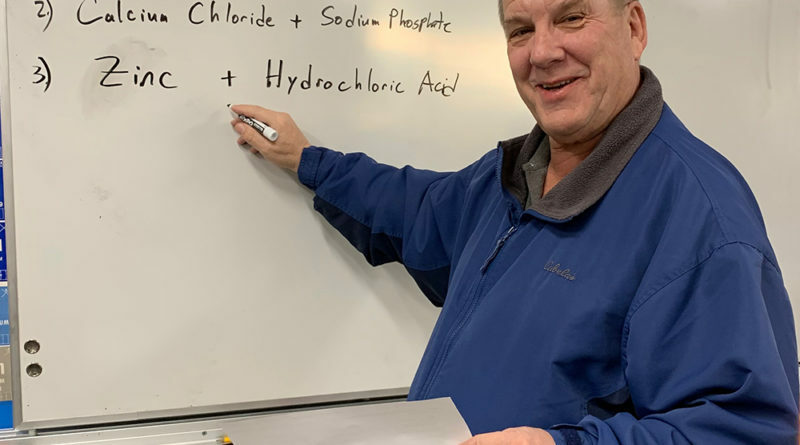 “In teaching, the reward is not monetary, but knowing you had a positive influence on students, that I can say is priceless,” says Richard Schneck, who currently teaches Honors Chemistry. Most people know of Schneck as simply the Honors Chemistry teacher, but he has done and still does many other things outside of teaching. In fact, he’s one of the most experience d people you’ll ever meet. Schneck became a chemistry teacher because chemistry came easy to him when he took a class at a community college and after tutoring chemistry for two years, he realized he enjoyed it and started his teaching career at the age of 21. Schneck taught chemistry and other sciences at American High School for nine years before he quit as he wanted to make more money to get his children to college. He worked for 12 years at NUMMI, a Toyota Manufacturing plant, currently known as Tesla, in Fremont. He started off as a Quality Control Engineer who had the responsibility of training five people on how to conduct chemistry tests on raw materials. He was later promoted into management where he learned about auto manufacturing. “The highlight of working there for me was when I was a part of the creation of a plastics plant from scratch that makes bumpers and instrument panels for Toyota, Tacoma, and Corolla. I designed it, selected equipment, and designed processes for each team member to do,” he said. Although he took up a lot of stress after he became the manager of Passenger and Truck Paint with over 300 people working for him, he had lots of fun and earned quadruple that of what a teacher makes, but he decided to quit. “After 12 years at NUMMI, I realized that I had missed much of my kids growing up. I quit the next month and spent the spring getting to know my kids before they were too old to want to hangout with dad,” Schneck recalled. Not so long after, Schneck made the decision of returning to his passion: teaching. He started teaching at CVHS in 2003 and has been working here for 15 years. Thanks to his hard work as a “College and Career Specialist,” the college career pathways at our school were established and many kids were given the opportunity to join pathways such as HABIT, DADA, ICT, and Engineering. Schneck’s favorite part about teaching is when a student understands something they did not know before. He believes the biggest challenge students face today is adjusting to change and the fear of making the wrong choice. “I like that he understands his students and he tries his best to make the class less stressful while still keeping it an honors class,” says sophomore Sophia Siopack, one of his Honors Chemistry students. “Mr. Schneck always turns on the fire when it’s cold, and I love that about him,” said sophomore Kyla Dolorfino, who is also in his Honors Chemistry class. “One of the reasons I am passionate on letting students know their choices in college and career in high school is because I had no guidance. 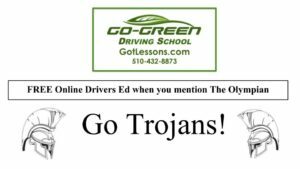 I remember classmates talking about getting accepted into USC and multiple Cal States in April of my senior year in high school, I said, ‘I guess I better apply’ not knowing that the deadline had passed six months earlier,” recalled Schneck. He graduated from UCLA with a major in biology and a minor in chemistry; later on, he received his teaching credential from Chico State. In his 27 years of teaching, Schneck has done many crazy things from making hot air balloons that transported students to launching volleyballs over the gym with a giant trebuchet and making a go-cart and using power tools to get it to 30 m.p.h. “I have spent much of my career in teaching, because it changes lives and produces educated citizens that hopefully can make logical decisions as a society,” said Schneck.